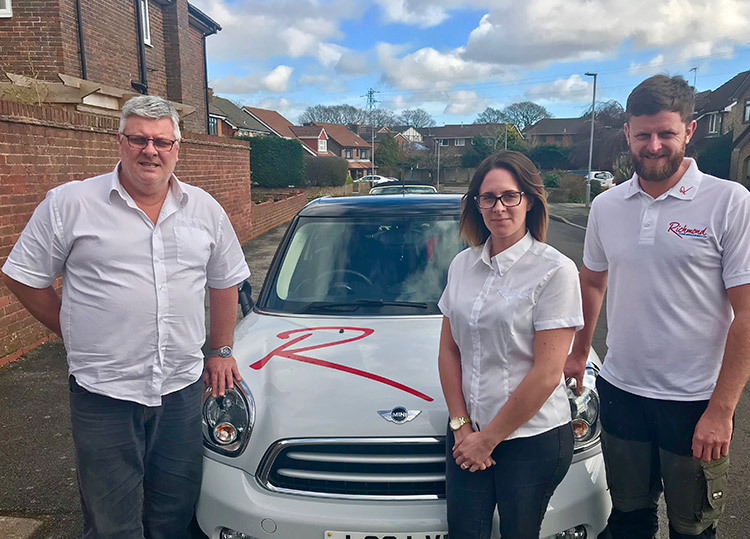 RICHMOND Home Improvement Co, one of Dorset's leading replacement window and door installers is celebrating two decades in business this year. Established at the beginning 1999 by Allan Tofield, Richmond are now celebrating their 20th anniversary with another successful start to the year. They attribute their success to the exceptional customer service they offer to their clients, whether residential or commercial – and their attention to detail. Richmond’s highly trained operatives exercise the best installation and service standards, protecting furnishings and property while they work and respectfully cleaning up at the end of each day. Allan is proud to also use local suppliers wherever possible to maintain standards of quality, provide a far more committed personal service to other firms and ensure that Richmond always goes the extra mile. “We’ve come a long way since I first formed the company back in 1999, although we still retain the same core values. It’s now a family affair with both my daughter and son working in the business too” says Allan. “Ever conscious of our carbon footprint, we are licensed by the Environment Agency to ensure all waste is disposed of responsibly and ethically” he added. Richmond Home Improvement Co holds comprehensive insurance, providing essential peace of mind. They are CERTASS registered for Building Regulations compliance and have SSIP accreditations with SMAS, CHAS and Alcumus Safecontractor, so take the Health & Safety of their staff and clients very seriously. “As a result, we can claim to be a leading installer of fascia, guttering, windows, doors and conservatories in the area” he added. For a great service contact Richmond’s friendly team on 0800 614102 or visit their website at www.doubleglazingdorset.com.